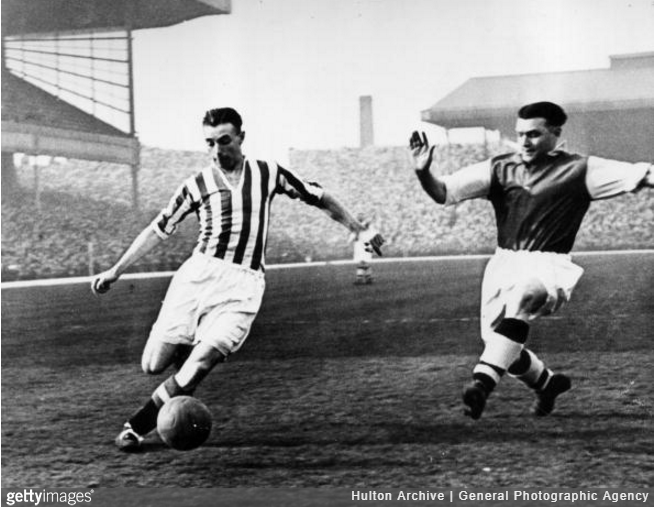 The very first contract that Sir Stanley Matthews signed with Stoke City as a 17-year-old in 1932 is about to come up for auction. Perhaps unsurprising for an 85-year-old document, the contract offers a timely glimpse into professional football’s humble past, with Matthews signing on to earn a princely £5 per week at the Potters, dropping to £3 per week in the off-season. Allowing for inflation, that meant Sir Stan would be taking home roughly £320 a week at the current rate, dropping to £180 over the summer months. Stanley Matthews, of 89 Seymour Street, Hanley, will play in an efficient manner and do the best of his ability for the club. In consideration of the observance by the said player, the club shall pay to the said player the sum of £5 per week from Feb 1932 to May 1937, going down to £3 per week in the summer months. Of course, Matthews soon rose to the very top of the sport with club and country and, as such, negotiated a massive new deal for himself in 1935 – worth a stunning £8 per week (£525 in today’s money). 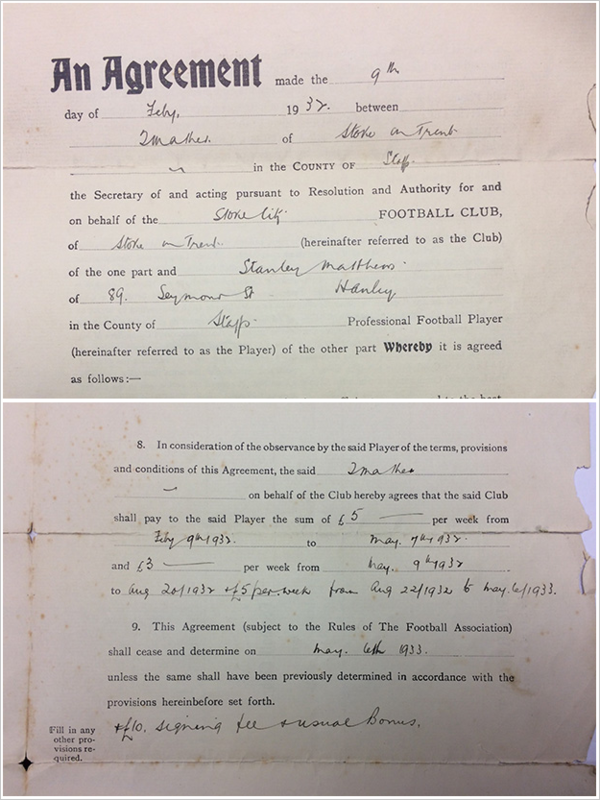 Should you be interested in purchasing this intriguing piece of football ephemera, Matthews’ original contract is scheduled to go under the hammer at Hansons Auctioneers in Derbyshire on 22nd August. Adjusting for inflation doesn’t tell the whole story though. In 1935 an average house cost £500 (=£32k adjusting for inflation, but the average house price now is actually £317k – more than 10x that), a car £300. At £8 per week he was earning almost four times the average wage of that time. Much less than footballers today, but not too shabby.